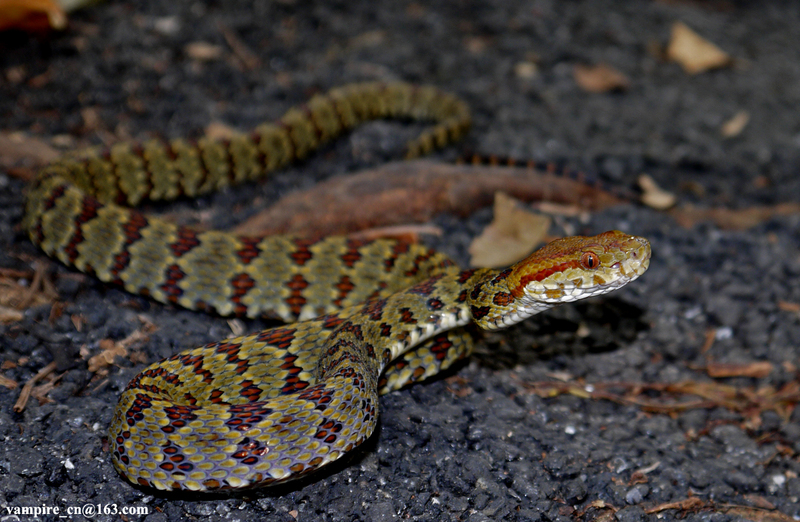 Pit-vipers of the genus Protobothrops distribute in East and Southeast Asia, and many species live in mountain areas with high elevations. Recently, a new species of genus was discovered along the Himalaya Mountain Ranges in southern Tibet, China and Sikkim, India in 2012. 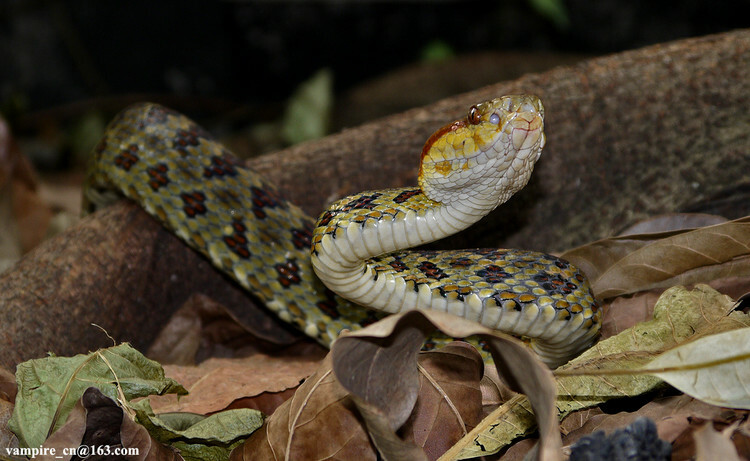 The new species, Protobothrops himalayanus, was named after its type locality, the Himalayas Mountain Ranges. It can be diagnosed from its congeners by the combination of large body size (reaching up to 1.5mm in total length), distinct scale counts (dorsal sacles 25-25-19, subcaudal scales 65-76, supralabials scales 7-8, and infralabials scales 11-13), and its unique color patterns. 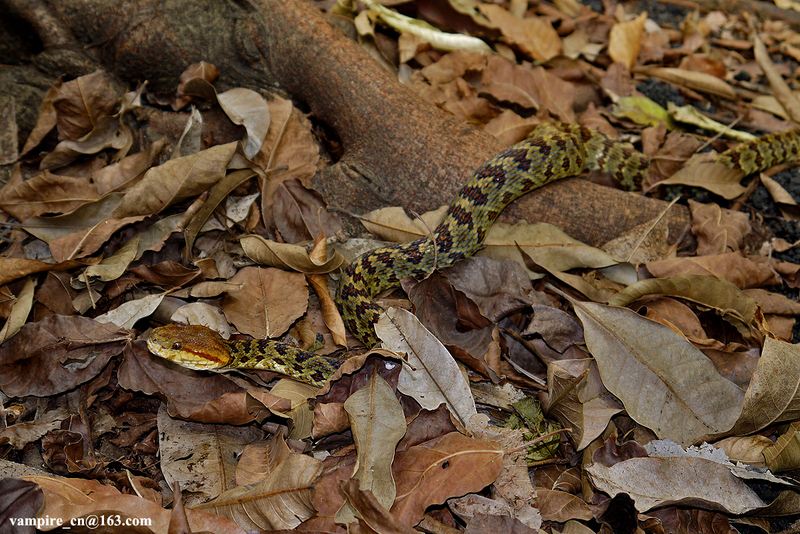 Despite the recent discovery, herpetologists have very little information regarding the snake’s ecology, behavior, distribution range, and population size. With the potential threats posted by habitat degradation, population assessments of the species are urgent and conservation efforts need to be made accordingly soon. Photographs by Zhang Liang from South China Institute of Endangered Animals. Pan H., Chettri B., Yang D., Jiang K., Wang K., Zhang L., and Vogel G. 2013. A new species of the genus Protobothrops (Squamata: Viperidae) from Southern Tibet, China and Sikkim India. Asian Herpetological Research, 4(2): 109-115.